The AXIS 5600+ print server is designed to further simplify the printing process, increase network flexibility and maximize the full potential of your printer. Enhanced with Axis' latest software, AXIS 5600+ offers users many new benefits that ensure simple and reliable administration. One of the new features is automatic IP setting (AutoIP) which simplifies installation. Furthermore, the AXIS 5600+ will automatically restart if the print server detects errors in order to ensure highest possible availability (Watchdog). And when the printer requires attention - for example, new toner or a paper refill the print server will automatically notify a chosen administrator by E-mail. 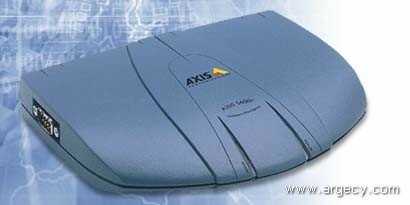 The AXIS 5600+ supports TCP/IP, Novell NetWare including NDS and NDPS, more than 20 Unix systems, Windows NT, Windows for Workgroups, Windows 2000, Windows 95, Windows 98, LAN Server, OS/2 Warp, LAN Manager, LINUX and Apple EtherTalk simultaneously.